Home Must Reads	Who Doesn’t Love Some Leoma? Leoma Lovegrove is one of Southwest Florida’s most beloved and popular artists — no doubt because everything she touches reflects her passion, personality and love of life. Just as every picture tells a story, so every wanna-be artist has a story. But as life and legend tell us, most of those who pursue art as their calling will unfortunately fall short of a happy and fulfilled ending. It’s a fact: becoming a successful, serious artist is often a long and bruising journey that only a select few are fortunate and talented enough to realize. 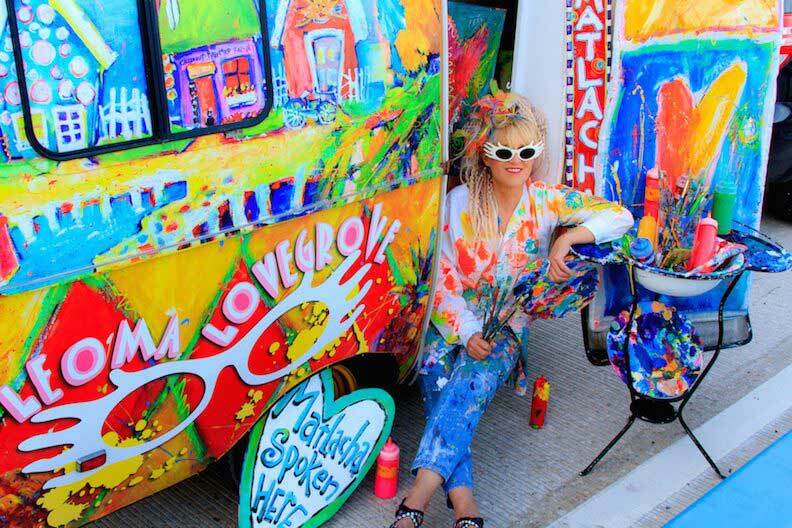 Leoma Lovegrove is unequivocally a star among Southwest Florida artists, a personality as big and flashy and colorful and delightfully entertaining as her many works. 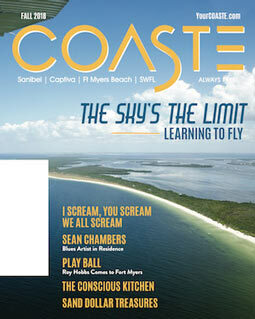 From her studio in Matlacha that often welcomes 500 visitors each day, to museums and galleries in Florida and around the world, to every department in 125-plus Bealls stores across the Southeast, Lovegrove’s art is as easy to spot and smile at, as is her trademarked and legendary eyewear. But her story is in many ways no different than many others who set out to be artists, and her sensation today was certainly not overnight. Instead, she set out to find any and every opportunity to put a sketch pencil or a paint brush in her hand — including delivering morning papers in Dayton, Ohio (it gave her a lot of free time to be creative), illustrating a book on art, painting murals at elementary schools and a hospital pediatric unit, landing a job at Indiana University instructing high school art teachers, even painting signs for companies and car dealerships along U.S. 41. While that journey consumed seven or eight years, her opportunity to explore more serious art arrived when her husband, a Navy pilot stationed in Texas, retired — and she began “to paint with zeal.” The zeal thing worked, as she gained representatives in major markets, distribution to upscale retailers and enough work to require a warehouse. Chalk up another five years. Leoma Lovegrove is unequivocally a star among Southwest Florida artists, a personality as big and flashy and colorful and delightfully entertaining as her many works. But her story is in many ways no different than many others who set out to be artists, and her sensation today was certainly not overnight. So her journey took another turn when she delivered a sign she’d painted to a local artist named Gale Bennett. 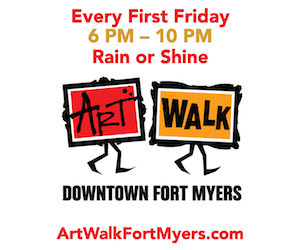 At the time, Bennett was both art and music critic for the Fort Myers newspaper, but was also an artist who had founded ArtStudy Giverny in France (home of Monet’s Garden), and was establishing ArtStudy Florida in, of all places, Matlacha. Bennett taught impressionism and Lovegrove traded work in his studio for admission to his classes. It was a life-changing encounter.